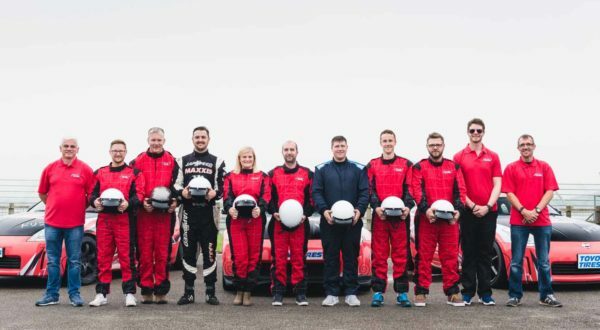 A comprehensive introduction to drifting guiding customers through the history behind the motorsport, basic theory and practical skills implied to drift competently. Arrive for refreshments and a briefing on a big screen for health and safety, a rundown of the day and a meet and great with the drivers. 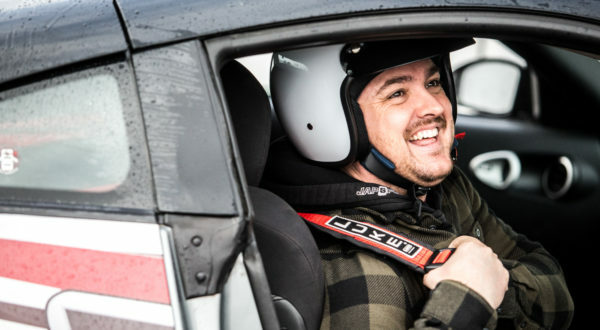 1st Exercise – Doughnuts and Figures of 8’s: Here you will be taught throttle and clutch control to get the car to perform a controlled doughnut around a cone. After this has been mastered we will teach you a Transition (change of direction whilst drifting) into a controlled figure of 8 around 2 cones. 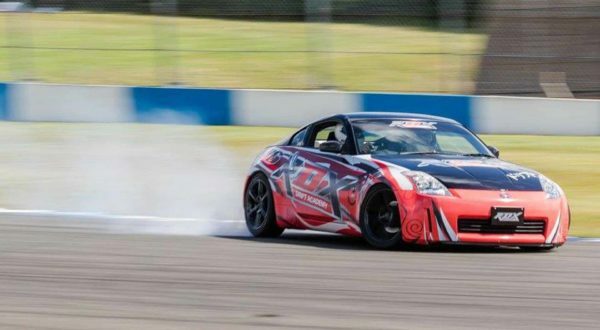 2nd Exercise – Right and Left Hand Single Corner: Here you will learn how to initiate a drift into a single right hand corner then a left hand corner and drift round and out of the corner. 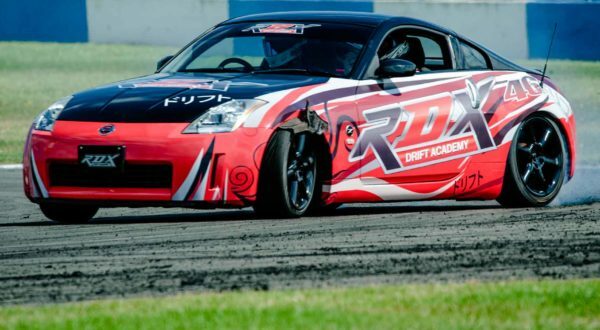 3rd Exercise – Linking a Drift track: Here you will master transitions from corner to corner to link a track in a continuous drift lap after lap. 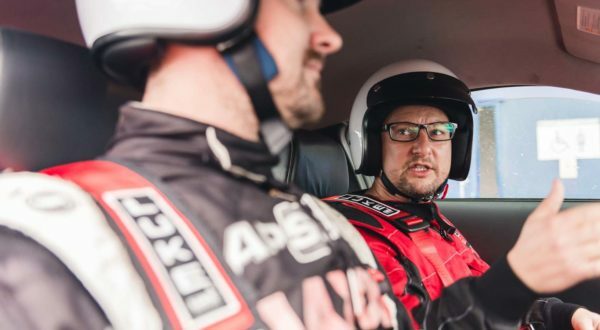 Passenger Laps – To finish off with will put you in the passenger seat with a professional Drifter and show you what competitive aggressive door to door drifting is all about! A waiver must be signed on the day. All equipment including helmets is provided. Insurance coverage up to £10,000,000 included. Long sleeves and trousers must be worn. Check the calendar to see upcoming dates and online bookings. We offer private days for parties and corporate events. Get in touch for details and pricing. 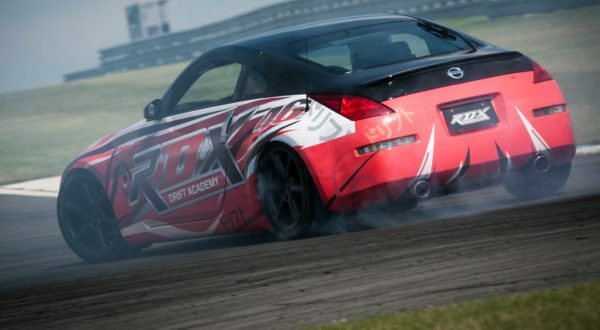 Jap Performance magazine have published a full feature on RDX Academy and the art of sliding sideways.